From time to time I’ll rummage through my recently liberated box of old Soccer Express issues and post a few morsels that will help us all remember how the game once was. 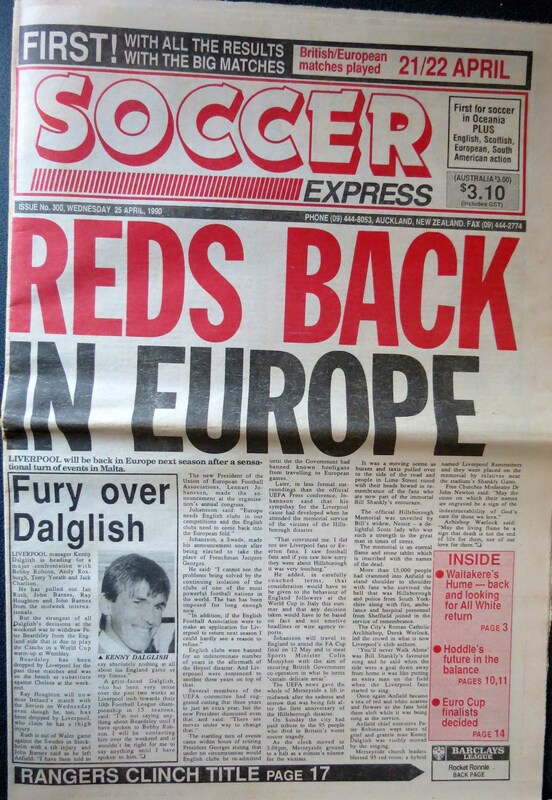 This time I managed to dig out the ANZAC Day issue from 1990 with a headline that screams out “Reds Back In Europe”. This is somewhat apt, given the aforementioned reds (Liverpool) are back in the Champions League after a little while out of the spotlight. On the inside of this issue, pages 2 and 3 are devoted to a decent cross section of things. From celebrating the 300th issue of the publication, to covering the final stages of the old Aussie league (Fred De Jong – remember him? 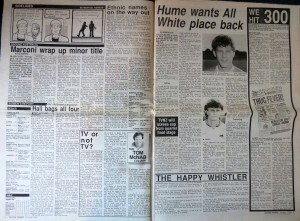 – scored the goal that gave Marconi the minor premiership), to interviewing Colin Hume, who’d returned to NZ to win back his place in the All Whites. We are also introduced to The Happy Whistler. 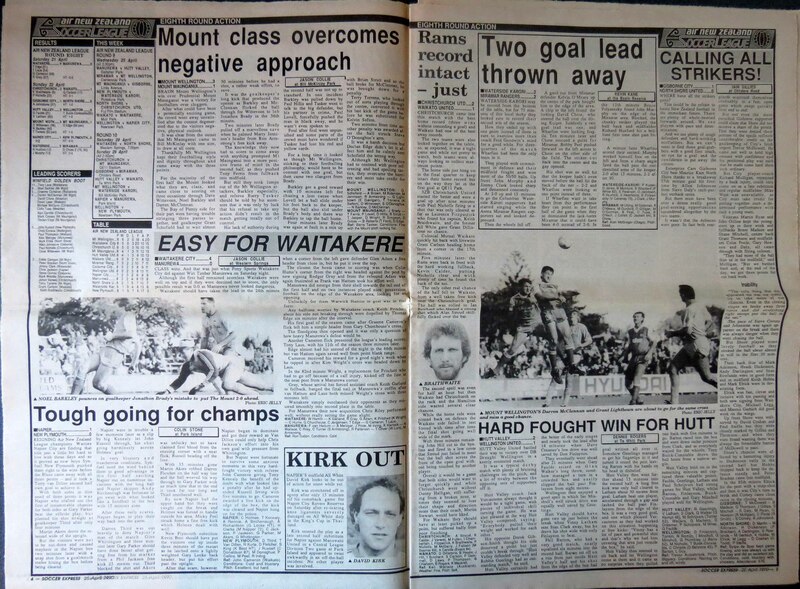 A couple of pages of national league coverage (then called the Air New Zealand Soccer League) followed. 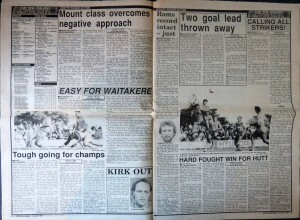 The highlight is a picture of a much-younger-than-now Keith Braithwaite. 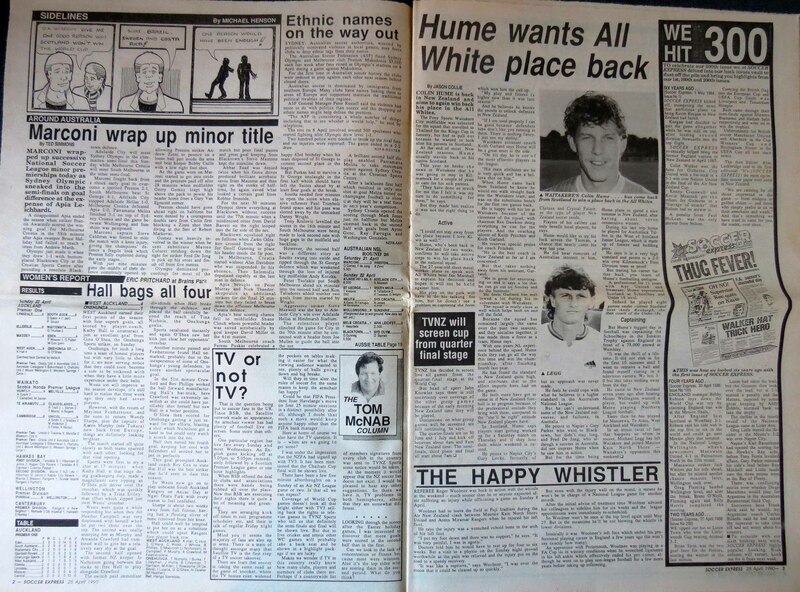 Several pages of regional league coverage followed before the second half of the issue was, a little disappointingly, filled up with English (mainly) and European match reports and articles. I realise that’s pretty much what we wanted back in the day, and I guess if it wasn’t for all the overseas stuff there wouldn’t have been a Soccer Express, but it still makes me wonder if the local game could have been promoted a little bit more. And if it had been back then we may be a little bit further ahead now.